Saturday, February 18th, 2012 at 7:58am. 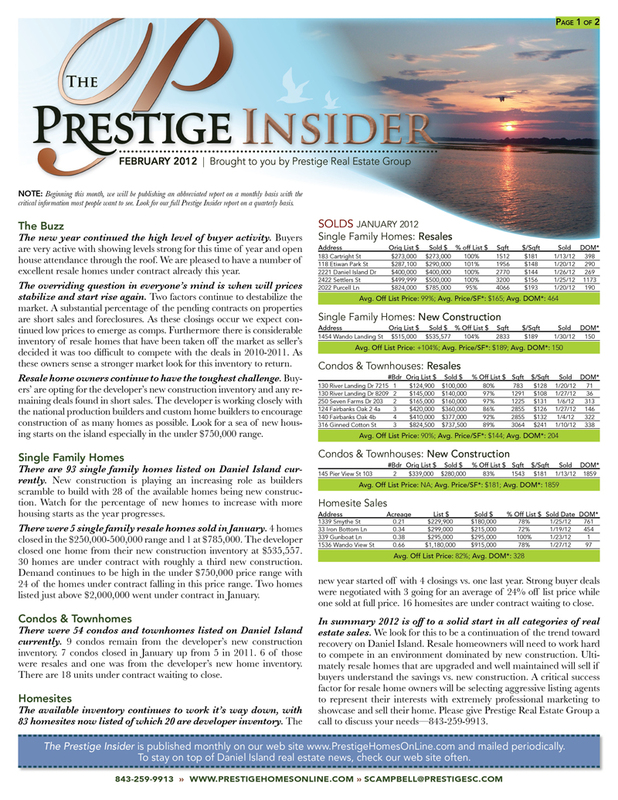 Every month we publish inside information on the Daniel Island real estate market. This information will help you to make informed decisions whether selling or buying real estate on the island. To receive this report on a monthly basis by email, please register your email address on our site. Read the full Prestige Insider report.